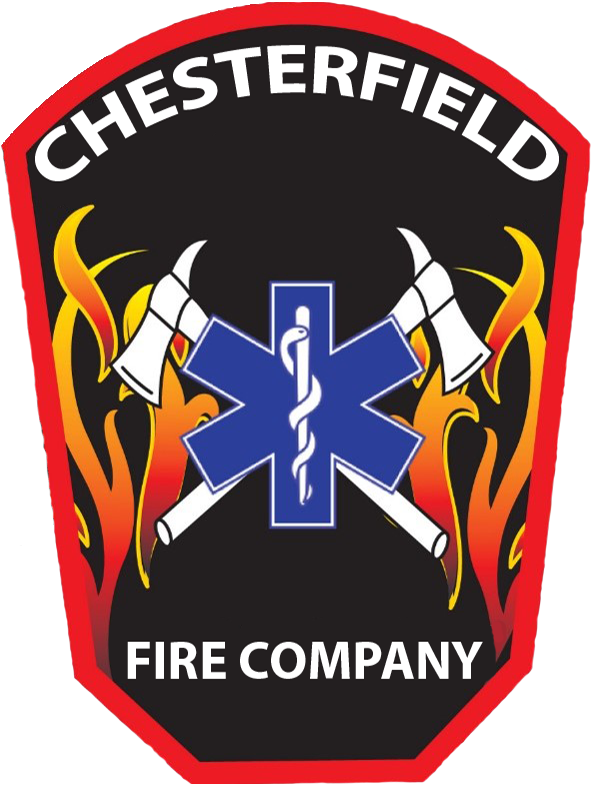 Apply today to the Chesterfield Fire Company and experince first hand on what it's like to help out your community. 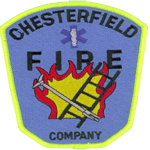 The Chesterfield Fire Company was organized in 1947. With the support of First Selectman Driscoll and the ambitions of the charter members, a resolution was adopted and a corporation was formed to establish a third Fire Company within the Town of Montville. This new company named Attorney Sid Heller an Honorary Member for all of his efforts in helping to establish the Chesterfield Fire Company. The first company meetings were held in the schoolhouse at the corner of Grassy Hill and Hartford Roads. The first piece of fire apparatus was a 1931 Chevy platform truck, the company purchased from the Ackley farm in Groton. The members purchased a Chrysler skid mount pump, out of Yonkers, New York. Fishkin Iron Works installed the pump on the Chevy, added a tank of water and equipment to handle structure fires. This first piece was stored in a shed at the Zaist property on Hartford Road. Shortly after that it was moved to the schoolhouse at Grassy Hill Road and stored under a lean-to. In 1948 the Ladies Auxiliary was formed to support the firefighters. The ladies first meeting as an organized group was February 10, 1948. These ladies were involved with notifying the firemen of an emergency via phone tree system, prior to the purchase of the house siren. The Ladies Auxiliary continues to be supportive of the firefighters with donations. Some of the donations from the Ladies Auxiliary have included refrigerators, freezers, ambulance emergency equipment, tables, and chairs. In 1947 the schoolhouse was turned over to the Fire Company. In 1963 the first set of engine bays were built. The schoolhouse was removed when the assembly hall was built and dedicated in 1970. This hall was rededicated in 1992 as the Kemnitz Hall in memory of Past Chief Otto Kemnitz. In 1974 the company added two additional bays. In 1979 the second floor was built to accommodate the need for a bunkroom, showers, and more office space. The space was used for company meetings. In 1991 the training / meeting room was added. In 1997 the kitchen was expanded and utilities were upgraded. The company built the original fire engine, records do not show when the next piece was bought. Discussions with past active members and photos reveal that the company had a civil preparedness van, a Ford model, on board was an army cot. This was used for rescue and first aid operations. In 1961 the town purchased the first Class A pumper for the company built by Howe on a Ford Chassis. In 1968 the company drew plans and specifications for the Town to purchase a second Class A pumper, a 1968 Thibault built on a Ford Chassis. In 1975 in lieu of replacing the 1961 pumper the company and the Town decided to purchase a brush truck and a small rescue truck from Pierce. The 1961 pumper was replaced in 1988 with a Pirsch. The 1968 pumper was replaced in 1991 with a KME. The first ambulance purchased was a 1956 Cadillac. A 1966 Cadillac replaced it in 1968. In 1974 the EMS system was revamped leading the way for the company to purchase a 1977 type III ambulance on a Dodge chassis manufactured by Yankee Coach. In 1987 a type I ambulance was purchased from PL Custom Body, this was on a Ford F-350 Chassis. The company in 1997 purchased a type III ambulance built by Horton on an E-450 Chassis and replaced that in 2004 with another Horton. All of the changes would not have taken place without the dedication of the volunteers and the support of the Town of Montville. For the past 30 years, dedicated volunteers have worked countless hours of fundraising with a successful bingo operation, started in 1966. The hard work of the fundraising groups has given the company the ability to address the needs of the community, to continue to protect life and property for another 50 years. A new addition was built, allowing the company to un-stack the vehicles in the current two bays (high bay and low bay), and allowing for ease of use and to make response times faster. Equipment, Apparatus's and a new addition was purchased and built. For the past 30 years, dedicated volunteers have worked countless hours of fundraising with a Successful Bingo Operation, started in 1966. The hard work of the fundraising groups has given the company the ability to address the needs of the community, to continue to protect life and property for another 50 years. The Ladies Auxiliary was formed to support the firefighters. The ladies first meeting as an organized group was February 10, 1948. These ladies were involved with notifying the firemen of an emergency via phone tree system, prior to the purchase of the house siren. The Ladies Auxiliary continues to be supportive of the firefighters with donations. Some of the donations from the Ladies Auxiliary have included refrigerators, freezers, ambulance emergency equipment, tables, and chairs. The first piece of fire apparatus was a 1931 Chevy platform truck, the company purchased from the Ackley farm in Groton. The members purchased a Chrysler skid mount pump, out of Yonkers, New York. Fishkin Iron Works installed the pump on the Chevy, added a tank of water and equipment to handle structure fires. This first piece was stored in a shed at the Zaist property on Hartford Road. Shortly after that it was moved to the schoolhouse at Grassy Hill Road and stored under a lean-to.